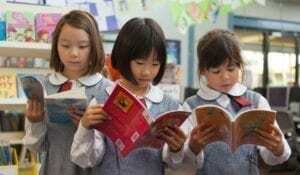 The New South Wales Education Standards Authority (NESA) sets the learning requirements for each stage of primary school. The syllabus identifies the knowledge, understanding, skills, values and attitudes that students are expected to develop in each learning area. They provide flexibility for teachers to develop their teaching and learning programs and practices to meet the needs of our students. Students work individually, in pairs, in small groups and as a whole class, using a variety of resources. They also learn through unique events within the school, and in collaboration with other schools, such as interschool debating and mixed Clubs. 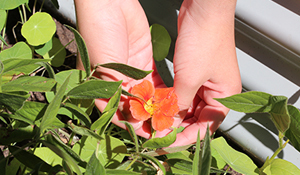 SJIS’s programs provide stimulating experiences and opportunities for enrichment or support as needed. In addition to subject-based content, NSW syllabus addresses important contemporary themes and general capabilities as students prepare to live and work successfully in the 21st century. These include Australian curriculum cross-curriculum priorities,general capabilities, and other learning across the curriculum areas that are identified by NESA. The aim of English in Years K-6 is to enable students to understand and use language effectively. Students appreciate, reflect on and enjoy the English language to make meaning in ways that are imaginative, creative, interpretive and powerful. In each year, students study spoken, written, visual, media and multimodal texts. Students learn about number and algebra, statistics and probability, measurement, geometry and working mathematically, while developing problem-solving, reasoning, understanding, fluency and communication skills. The aim of our Mathematics programs in Years K-6 is for students to be confident and creative users and communicators of Mathematics, able to investigate, represent and interpret situations in their personal and work lives, and as active citizens. Enrichment programs such as Maths Olympiad are available to students with high abilities in Maths, as well as the online support given through the Mathletics program. A new Science and Technology syllabus was launched this year. The course includes Digital Technologies, Earth and Space, Physical World, Material World and Living World from K-6. These elements are underpinned by skills of working scientifically, and Design and Production skills. Overall, students will be encouraged to questions and seek solutions through trialling, testing and referring ideas. The learning experiences will enable them to succeed in a rapidly developing technological world. The HSIE Key Learning Area includes History and Geography. In History, students develop a breadth of historical concepts and skills through their study and connection to Personal and Family Histories, The Past and the Present, and Australian History. Students enjoy exploring the past, to develop a critical understanding of its impact on the present. They learn about the people, groups, places and celebrations of significance in Australia and the world. In the new 2017 Geography K-10 syllabus, we foster students’ interest in and engagement with the world. Through geographical inquiry, students develop an understanding of the interactions between people, places and environments of the world. They learn the significance of the environment in human life, and the important interrelationships between humans and the environment . Students develop technical competence and skills in designing and performing creative and practical art, while also learning appreciation and self-expression in Visual Arts, Music, Dance and Drama. Music and Visual Arts classes are taught as a “mixed lesson” for two terms per year, with students from the Japanese Division (Japanese Curriculum). Class instruction is in both English and Japanese. In the key learning area of PDHPE, students learn to develop active, healthy and fulfilling lives, through participating in regular physical activity. They develop interpersonal relationship skills, as well as learning positive values, attitudes and beliefs. 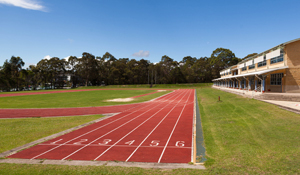 Physical Education (PE) classes, which are included in the PDHPE curriculum, teach the skills required to play individual sports, as well as the values of sportsmanship and teamwork. There are mixed lessons with Japanese and International Division students during certain terms of the year. Instruction is in Japanese and/or English. 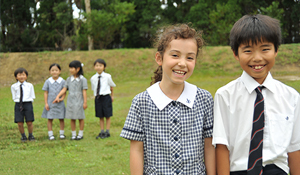 What sets our school apart from other schools is the significant exposure to Japanese language and culture. Japanese language classes are held daily for 50 minutes. Students learn the written and oral basics of the language, as well as cultural features that complement their understanding of the Japanese language. Students are placed in groups for Japanese language, ranging from beginners to advanced level. Native Japanese speakers are accommodated in our background speakers’ classes, while newcomers may receive some intensive assistance prior to joining a leveled group. Language skills are reinforced in Music, Visual Arts and PE classes during terms, when mixed lessons take place. These lessons are taught primarily in Japanese with the International Division (NSW Curriculum) students learning alongside Japanese Division (Japanese Curriculum) students. Students who may require additional literacy support are identified through observation, internal and external assessment, and the professional judgement of teachers. These students are provided reading intervention by a Support Teacher using MultiLit programs. Students who require additional challenges are provided with a range of class differentiation strategies. Varying activities, groups, resources, environments, and shifts in pace and instruction are utilised, to engage students in their learning and motivate them to reach their potential. In particular, students are extended through their study of the Japanese language, which they find intellectually stimulating and academically rewarding.